We're posting our favorite Bay Area albums of 2018 every weekday through Dec. 14. Check here to see who else made the list. 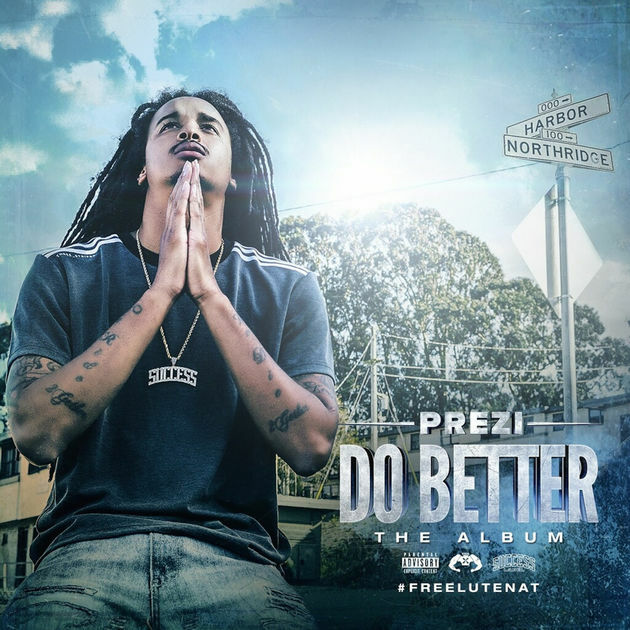 In the fall of 2017, Prezi's "Do Better" emerged from the undercurrents of Bay Area rap to become a regional hit, logging 5 million YouTube views and airplay on 106.1 KMEL. Much of its power lies in the Hunters Point rapper’s anxiously sung chorus: "Family tellin' me to do better / I’m a do better." Delivering his verses over a thumping mid-tempo beat that matches his world-weary words, Prezi encapsulated the life of a 26-year-old who's been in and out of jail and fallen prey to his worst impulses, and also personified anyone who struggles to rise above their day-to-day circumstances with a measure of grace. It was a poetic expression of personal trials and tribulations that felt universal. Released in January, Prezi’s subsequent Do Better album builds on that breakout single with a sound full of slapping, block-hugging mob music. Oddly, he never returns to the anxious mid-range singing voice he deployed for that transcendent title track (although the album includes a high-profile "Do Better" remix with Philthy Rich, OMB Peezy and Mozzy). Instead, Prezi relies on a grizzled, sand-papery flow for tracks like "Come & Go," where he raps over an arrangement of ominous keys, "These streets taught me never trust a soul." Much of it sounds like pure venting, a chance for him to release his frustrations about friends who "claim to fight for me, never took a punch" and women who thought he was ugly until he established a viable music career. But he sets aside some tenderness for "Family," a warmly melodic collaboration with Mozzy and singer Tree Thomas. "Long way up out the projects, just wanna make my mama proud / Head to the sky, like 'If Grams could just see me now,'" he raps, then adds a shout-out for his daughter's mom, whose "loyalty was never a question." Throughout Do Better, Prezi taps into a rich vein of Northern California hip-hop that commemorates the struggle to find a better way of life, and is unapologetic about the means—criminal or otherwise—that one uses to reach that goal. Prezi’s grit and hustle may make him the "president" of a neighborhood often marked by civic neglect, but even in the wider realm of street rap, it has also brought him an inarguable breakthrough, one of the best singles in recent memory and a promising full-length debut. He’s here now.